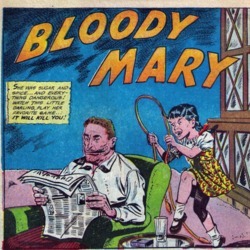 Comic book story that depicts an innocent-looking young girl murdering people. 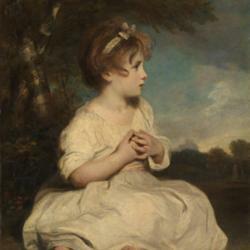 18th century painting of a seated young girl with a natural background. 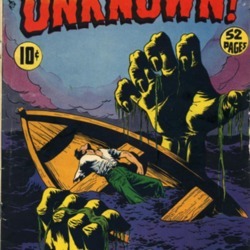 Comic cover featuring two giant hands attacking a man in a rowboat. 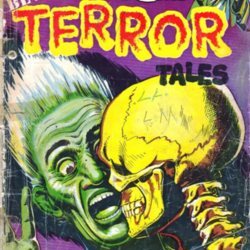 Comic cover depicting a green man being terrified by a skeleton. 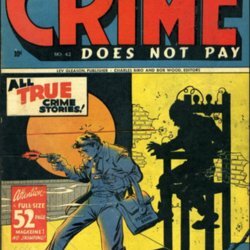 Comic cover depicting a criminal being shot; his shadow takes on the form of his fate on the electric chair. 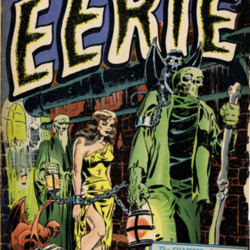 Comic cover portraying a woman being led in chains by a skeleton. 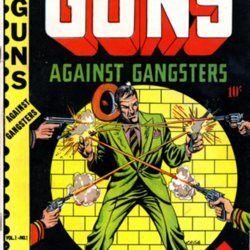 Comic cover depicting a man with two guns backed up against a brick wall, facing off against unseen gunmen. 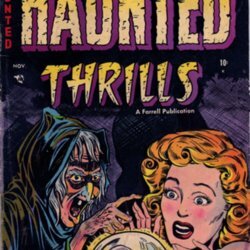 Comic cover portraying a witch showing a woman the vision of a skull in her crystal ball. 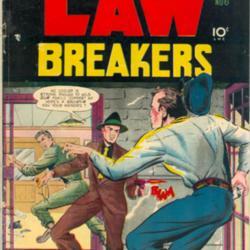 Comic cover depicting a man shooting a prison guard and helping a prisoner escape. 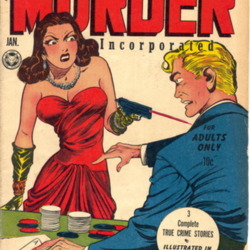 Comic cover featuring a woman shooting a man at a card table.